Great Experience, Better Birth Control | Y'all Behave! ← Potty, P-O-T-T-whY? Because ya GOTTA! “After nannying for so many years, do you still want children of your own?” This is the question popped to me by most people after they hear what I do for a living, and usually asked at some point by the parents of my charges. The answer is a very enthusiastic “YES! 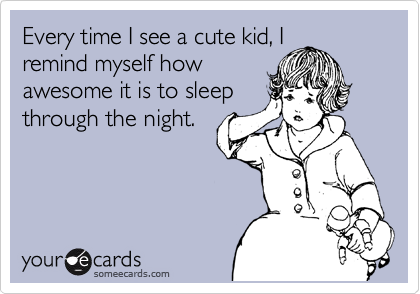 Absolutely!” I love children, part of the reason I got into the nannying game and have stayed in it so long. I look forward to having my own children someday. However that someday, is not anytime soon. I always say that being a nanny is great experience and even better birth control. While many of my gal pals get Baby Fever, their ovaries aching at the sight of a chubby baby at the grocery store or a sweet-faced child holding his mother’s hand at Barton Springs, I remain, of course aware of the allure of babies, but know that I am nowhere near ready to become a mother just yet. First of all, I love sleep. Not like your average person loves sleep. I looooove sleep. I love it so much that, for now, I am not ready to relinquish my REM for anyone, not even offspring. 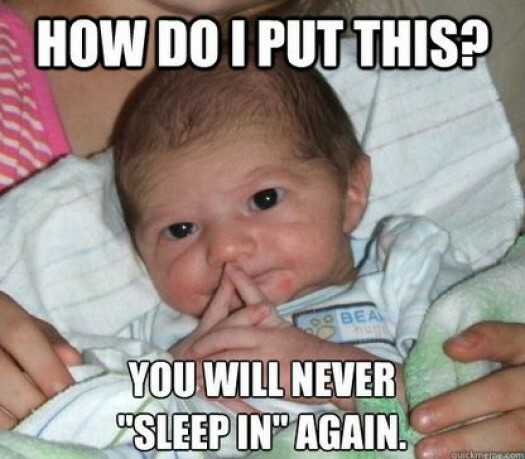 As a nanny I am well aware that sleep is something you just do not get once there’s a newborn in the picture. Once I make the decision to start a family I’ll resign myself to this fact, but not yet. Energy is a finite resource, and at this point in time, mine is spoken for. My vigor is currently dedicated to my fiancé, my family, my pals, my nannying gigs, and my hobbies. As much as I enjoy nannying, it takes a lot out of me. Some days require more of me than others, and after a particularly rough day of sick children, behavioral mishaps, or just an extensive one, the best part of my day is when I leave the kiddos’ house and shut the door behind me, departing for the sanctuary of my grown-up apartment… and a glass of red wine. I’m also not finished sowing my independent oats, I still want to travel, spend days and nights doing things I enjoy, which is not to say that once you become a parent you cannot travel and continue with hobbies and self-fulfilling activities, (that’s what nannies are for!) but I want to be a mother who, after spending years enjoying life on her terms, is ready to give up certain pre-children activities without any resentment or regrets. I feel very lucky to have gained this perspective from nannying, it has added a dimension of maturity to my attitude towards parenting. Being a nanny provides not only the knowledge and experience to help me as a parent when the time comes, but the wisdom to help me decide when that time should be. I look forward to becoming a mother, starting a family, meeting my children and helping them grow- motherhood is something I have looked forward to all my life. But for now, as far as Baby Fever goes? Temperature: Normal.